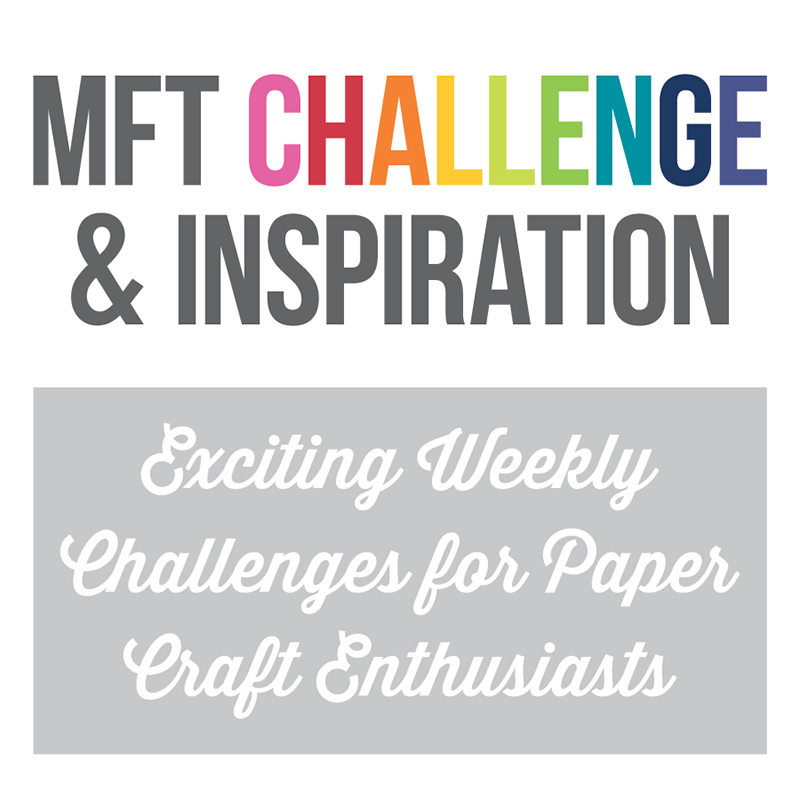 Paper Pursuits: MFT February Release Countdown, Day Three! 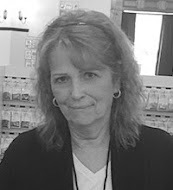 Hello and welcome to Day Three of MFT’s February Release Countdown!!! 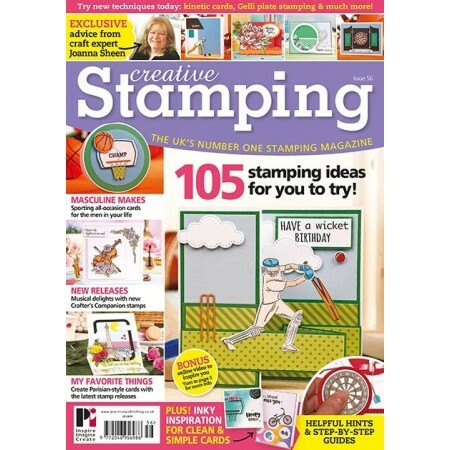 We’re getting closer and today we have a bunch more new products to show you: PI Birthday Buddies Stamp Set, PI Birthday Buddies Die-namics, PI For the Birthday Girl Stamp Set, PI For the Birthday Girl Die-namics, Happy Birthday Blend Stamp Set, Happy Birthday Blend Die-namics, and Birthday Cake Die-namics. Don’t forget that release is on February 5th at 10am, Eastern and also don’t forget to stop by the MFT Blog for all the release details. For my first card today I’m using PI Birthday Buddies. To begin, I created the brick wall using English Brick Wall stencil and molding paste and sponged Tangy Orange dye ink through the stencil when it was dry. To create the city vibe, I added a Cement Gray card stock sidewalk on which I stamped the sentiment, then popped the whole thing up on the Sweet Tooth card base with foam tape. Then I stamped the images on No Line Coloring card stock with Extreme Black hybrid ink, cut them out with the coordinating Die-namics, and colored them with Copic markers. When that was done I popped them up on foam tape and finished off with some enamel dots. For my second card I used Happy Birthday Blend Stamp Set and Die-namics along with Card-Sized Confetti Stencil Set for the background. 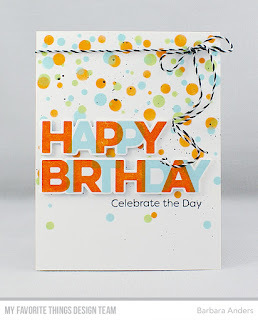 I started with the Happy Birthday Blend stamps and was able to get them lined up well with my MISTI and the grid paper. I cut them out and set them aside while I worked on the background. 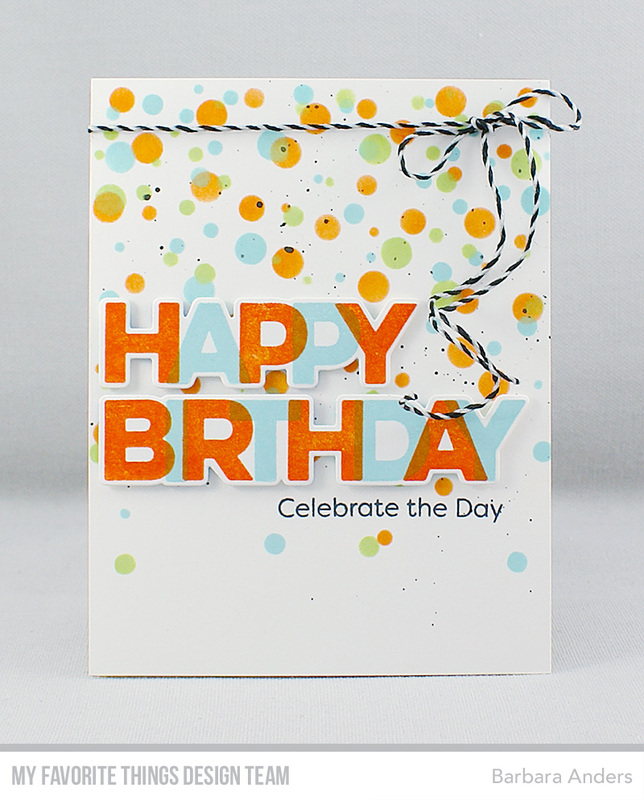 I used three colors of dye ink to stencil onto Sweet Tooth card stock: Blu Raspberry, Orange Zest, and Sour Apple, then to add a bit on contrast splatter some black acrylic ink and stamped the sentiment, from Bundles of Balloons Stamp Set. That was adhered to a Sweet Tooth card stock base with foam tape after tying around some baker’s twine. 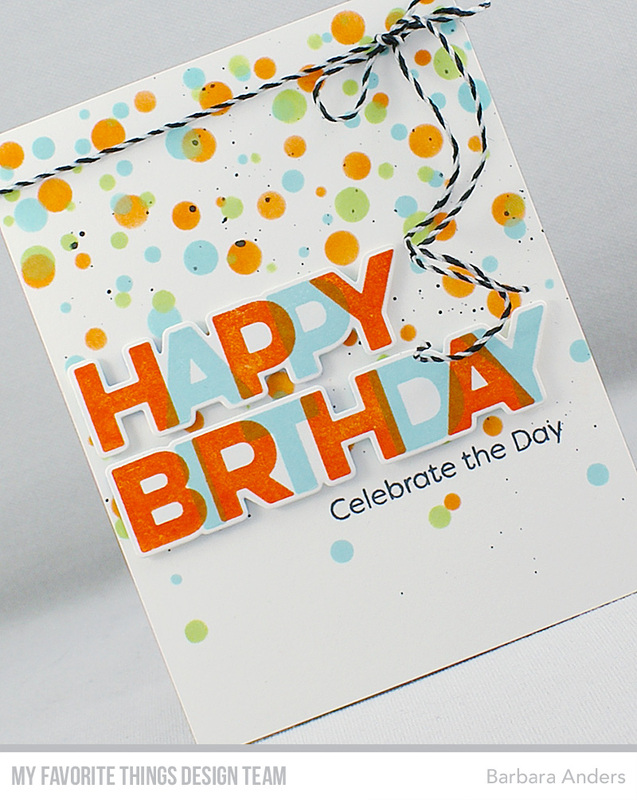 The only thing left to do then was to adhere Happy Birthday Blend to the card front with foam tape. 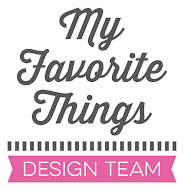 And there you have it from me for Day Three of MFT’s February Release Countdown! Thanks so much for stopping by! See you back tomorrow for Day Two! Both cards are wonderful Barbara! Great designs on both and coloring as well. That new confetti stencil is sweet. Thanks for sharing. Beautiful cards, love the coloring on the PI card. Two interesting cards! I really like the leaves on the girl's dress and her setting. The overlapping of the Happy Birthday is terrific!